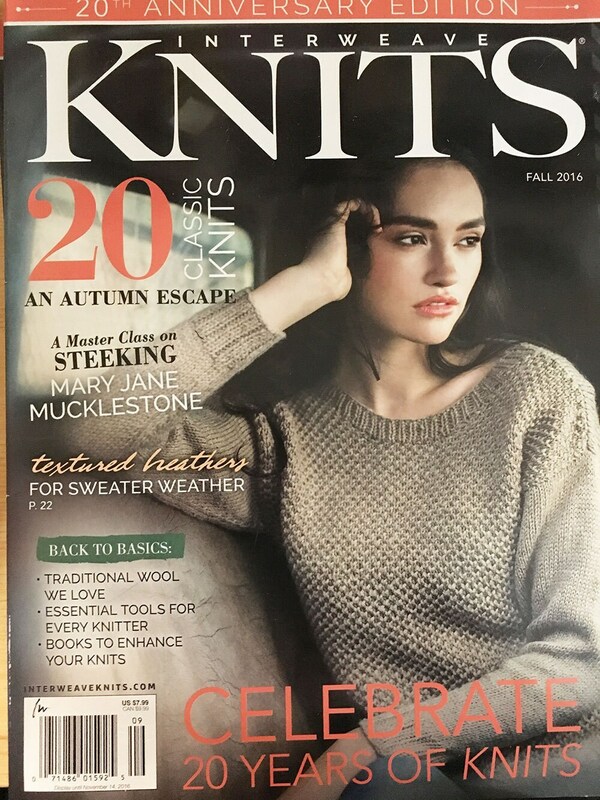 Interweave Knits magazine - Fall 2016 issue. 20th Anniversary edition. 20 Classic Knits - an autumn escape. A master class on seeking - Mary Jane Mucklestone. Textured heathers for sweater weather. Back to basics - traditional wool we love; essential tools for every knitter; books to enhance your knits. Fall fibers. El Greco pullover. Rodin cardigan. Catlett Shawl. Fall River vest. And More! Very nice magazine, thank you!